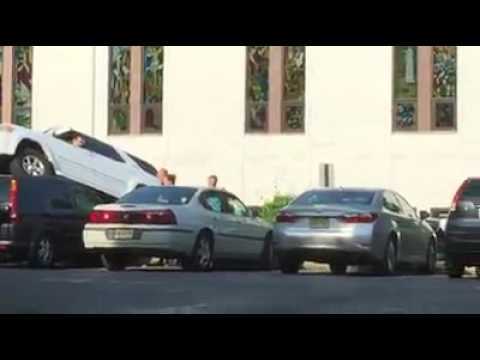 OLD TAPPAN, N.J. -- An SUV ended up atop two other cars outside a Old Tappan Korean church Sunday morning. 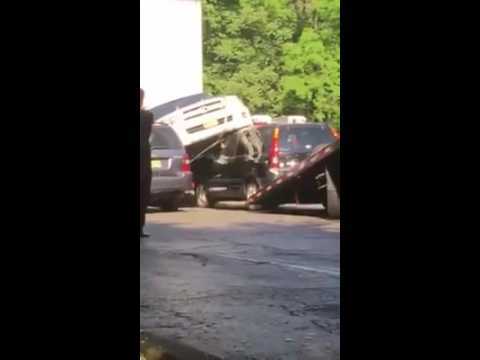 Firefighters and EMS workers helped remove the 62-year-old driver, who wasn't injured in the parking lot crash at the Korean Presbyterian Church of Palisades on Old Tappan Road just after 8 a.m., Police Chief Thomas Shine told Daily Voice. "The driver indicated there was no injuries and refused medical attention," Shine said Sunday afternoon. "The cause of the crash is currently under investigation."